You often hear about how welcoming, inclusive and open to new opportunity the craft beer world is, and the latest release from the Rocks Brewing Company fits nicely within that narrative. It concerns Amanda Howkins, a British ex-pat who moved to Australia with bags full of impressive qualifications, certifications and around 20 years experience working with big overseas breweries and food manufacturers. After being alerted to her CV by a fellow Sydney brewer, Rocks invited her along to the brewery and, long story short, she’s now heading their lab operation as a microbiologist. Once on board it turned out that, despite having years of experience mega breweries, she’d never actually been invited out of the lab to brew a beer before. The Rocks team had her on the brew deck within her first week, adding her input to what has become the Conviction Series Brown Ale. It’s a beer that sits more comfortably in the realms of English brown ales as opposed to their hopper American counterparts, though here there is a little extra hop fruitiness to balance out the usual caramels and sweetness. The malts – six varieties in all – remain the stars of the show and proffer characters of chocolate and biscuit (chocolate biscuit, perhaps), nuts and even a hint of liquorice. 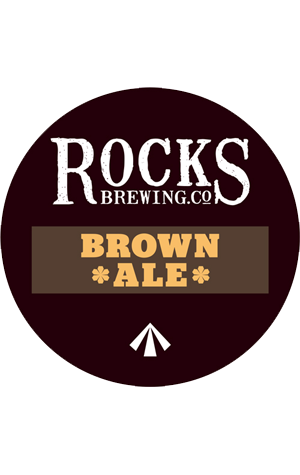 Considering Rocks’ penchant for convict history and its links back to Old Blighty, the brown ale is a fine and natural fit, particular for the cooler autumn weather.